AFTER YOU HAVE REGISTERED, YOU WILL RECEIVE THE LATEST PRODUCT INFORMATION, PROMOTIONS AND EXCLUSIVE CONTENT. 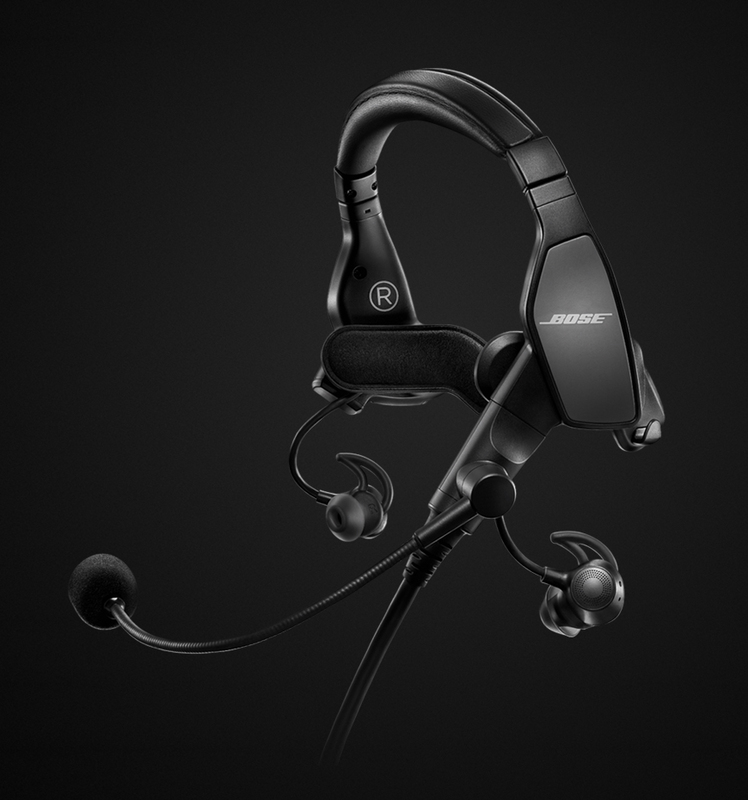 Designed for the professional pilot, Bose ProFlight is the industry’s smallest, quietest and most comfortable active noise cancelling communication headset, with many new features designed specifically for airline and corporate aircraft flight decks. New features include three user selectable levels of noise cancellation, a unique tap control for talk-through communication and quick release, side-swappable boom microphone and down cable. All engineered into a form factor unlike any other headset - a highly stable, in-ear configuration without the usual intrusive deep-insert eartips. The new Bose ProFlight is FAA TSO and EASA E/TSO-C139a certified. The A20 Aviation Headset is engineered to be more comfortable and provide more noise reduction than any headset we've ever made, while still delivering the clear audio you expect from Bose. Now there are more features than ever, including: a Bluetooth® audio and communications interface, customisable audio prioritisation control; intuitive "plug-and-play" operation, a high-performance microphone and an optional coiled cable. And at just 340 grams, with sheepskin headband cushion and minimal clamping force, it’s one of the lightest and most comfortable aviation headsets you’ll find. All designed to let you focus on what matters – flying. No other headset offers this unique combination of features and benefits.